Today I am reprinting an interview by myself and Mary Mackey originally published in her fabulous writer’s blog: “The Writer’s Journey.” Mary is a bestselling author who has written six volumes of poetry including Sugar Zone, winner of the 2012 PEN Oakland Josephine Miles Award for Literary Excellence. She is also the author of thirteen novels some of which have appeared on The New York Times and San Francisco Chronicle Bestseller Lists. Mackey’s novels have been translated into twelve languages including Japanese, Russian, Hebrew, Greek, and Finnish. Her poems have been praised by Wendell Berry, Jane Hirshfield, Marge Piercy, and Dennis Nurkse for their beauty, precision, originality, and extraordinary range. ” Her newest book, a collection of her poetry entitled Travelers With No Ticket Home was published this spring by Marsh Hawk Press. Mary: Andy, you’re a famous, successful agent. 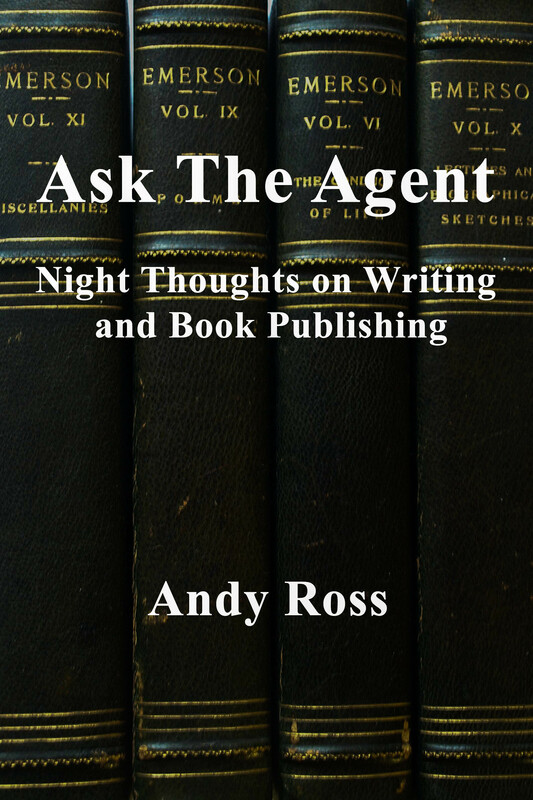 Given this, I suspect the most common question people ask you is: “How do I get an agent?” Let’s answer that one first. Could you please tell us in two sentences or less what writers need to do to get an agent? Also, I’m sure people will want to know if you are currently accepting clients. Andy: You get an agent the old fashion way, by having a fantastic, original idea for a book and a brilliant writing style. I have a blog that explains the steps you need to take to find an agent. Check out my Eleven Steps To Finding An Agent. And yes, I am actively seeking new clients. I want query letters by email. You can send them to: andyrossagency@hotmail.com. 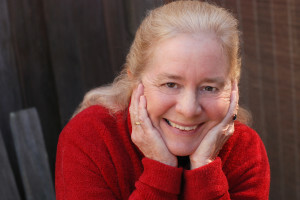 Mary: Before you became an agent, you owned several bookstores including Eeyore’s in Cotati, California, and Cody’s Books on Telegraph Avenue in Berkeley. Tell us about your early experiences as a bookseller. How did you get into the business? What did you love about it? Andy: I got into it for all the wrong reasons. I was a graduate student in European history. I liked to hang out at bookstores. Mary: How did you come to buy Cody’s Books? Andy: Like most of my important decisions in life, it was pretty impetuous. I was visiting my friend, Neal Coonerty, who owned Bookshop Santa Cruz. He told me that Cody’s was for sale and that I should consider buying it. I told him probably not. It was daunting. I was only 29 at the time, and Cody’s was already a legendary bookstore. I wasn’t sure I had enough knowledge or confidence. The next morning he asked me again if I would consider it. Again I said, “no”. But as I was driving home, I decided I would do it. A month later, I owned the store. Mary: What were the best things and the worst things about being a bookseller? Andy: Well, everybody I know has the fantasy of owning a bookstore. Being surrounded by books. Wow! But when I think back on my 30 years at Cody’s, I realize that a lot of my time was spent on pretty mundane stuff. The bad plumbing on Telegraph Avenue comes to mind. And I was never very good at supervising employees. I was always trying to make people happy, and I never seemed to be able to. Mary: When you owned bookstores, what was your best-selling book? Andy: Probably my best seller was Bill Clinton’s memoir. It helped that he came to the store to sign it. Mary: How did you make the transition from bookstore owner to literary agent? Andy: It was another impetuous decision, but one I never regretted. I had been a bookseller all my adult life. When I left Cody’s in 2007, I thought that I was probably cut out for sacking groceries at Safeway. I woke up one morning and decided I’d make a good literary agent. At first I was worried that I didn’t know anything about it. But then I realized that I’d been learning the job for 35 years. Being a bookseller all that time was pretty good experience for being an agent. Most agents come out of publishing. I have the advantage of having spoken to book buyers all my life. Mary: How is your relationship to authors different at present than it was when you were selling their books? Andy: Now I’m working at the other end of the literary food chain. I’m involved much more in creative work. I like that a lot. The process of writing, particularly writing fiction, is a mystery to me and really quite miraculous. When I first decided to become an agent, I thought that my main job would be making deals. But I spend much more time working with authors and helping them polish their book. It’s tough getting published. You can’t submit a project unless it’s perfect. Mary: What are the major problems you see in the work of clients you decline to represent? In other words, what do writers need to do to make their books better and more saleable? Andy: That’s really the $64,000 question. Publishing has changed dramatically in the last 30 years. I saw that happening at Cody’s, and I’m seeing it now as an agent. Most of the commercial publishers have been bought up by multimedia conglomerates. The pressure to produce huge profits is intense. The word that keeps coming up in publishing is “platform,” which means you have a recognized national or international authority in the subject you are writing about or you have the kind of celebrity that gives you the ability to garner media attention. I like to tell people that platform means you either have an endowed chair at Harvard or you are sleeping with Oprah’s hairdresser. Platform is less important with fiction. But the hurdles are even more challenging. The writing has to be exceptional. But that is only the beginning. Almost all the novels that are submitted to fiction editors have been heavily vetted by agents. Most of them are good. Publishing decisions tend to get made based on marketing rather than aesthetic considerations. A literary fiction editor might look at 300 novels a year. They will probably decide to publish 10. Mary: What is your favorite book of all time? Andy: Probably War and Peace. Mary: What are you reading right now? Andy: Something trashy. I’m too embarrassed to say. Mary: What books by your clients are coming out in the near future? Andy: Sometimes its better to be lucky than smart in this business. But it’s even better to be both. The most recent book I represent is Water 4.0 by David Sedlak published by Yale University Press. It’s the most important book yet published on the challenges of drinking water. The book was released the week Governor Brown declared a drought emergency in California. Bloomsbury Press has just released Beasts: What Animals Can Teach Us About the Origins of Good and Evil by Jeffrey Moussaieff Masson. It’s a profound and important book, one that will have a huge impact on the way we think about animals. Also Sourcebooks has just released Shooting Stars: My Life as a Paparazzi by Jennifer Buhl. Definitely the most fun book I have ever worked on. Also one of the funniest. She was recently interviewed on Entertainment Tonight. I have three magnificent novels being published this fall. I can’t wait.